There’s just something about the light at the southern tip of South America… We would venture to say that your muse will find a constant flow of inspiration on this photo-centric journey to Patagonia. The first part of the journey includes a naturalist and photography guide, who will lead you to both classic and unusual spots for capturing the landscape. While this trip is a photographer’s dream, there are also plenty of opportunities to be active—with hiking, boat trips, horseback riding, and exploring towns and cities. First and last, visit the vibrant, capital city of Buenos Aires, with its famed harbor, cemetery, graffiti, tango, architecture, neighborhoods, plazas, and people—day and night! Time at an estancia captures another face of Patagonia, with rugged terrain, horses, sheep, gauchos, Lago Viedma, Andes peaks, an expansive landscape, and extraordinary sunrises and sunsets. Two colorful mountain towns, El Chalten and El Calafate, offer up access to backcountry trails, mountain views, mountain culture, lakes, and a massive glacier. Finally, Torres del Paine is indescribably beautiful, with its focal point, the Cordillera del Paine, composed of the South, Central, and North Towers. Shoot way, from the deck of the lodge, the trail, the other trail, across the lake, across the steppe, at sunrise, at sunset… Don’t forget your extra memory cards! A wonderful array of lodges: One modern city hotel, one traditional estancia, one hosteria on the edge of a mountain town, and one spectacularly-situated, all-inclusive lodge. Local naturalist and photographer guide: Spend the first portion of the trip with a local guide who will take you to lesser-known photography spots and tailor each day to help you meet your photographic goals. The Great Outdoors: That’s where this trip is going to put you. Outside – on the lake, along the trail, below the peak, near the glacier, and in the mountains. Arrive into Buenos Aires and spend the night in the heart of one of the city’s distinctive Palermo or Recoleta neighborhoods. 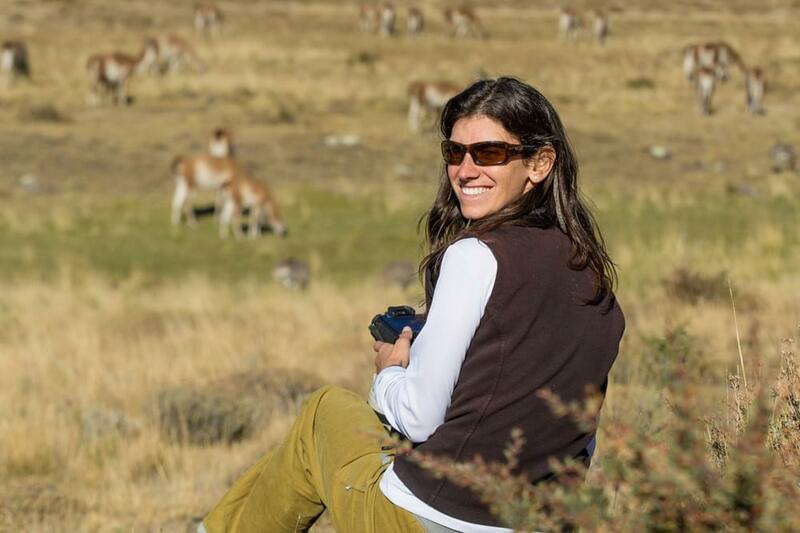 For six days, enjoy the company and guidance of a private naturalist-photographer-driver guide, who will lead you to the most spectacular destinations, uncovering the secrets of the Patagonian landscape. Along the way, learn about the area’s unique flora, fauna, geology, and culture. Fly from B.A. 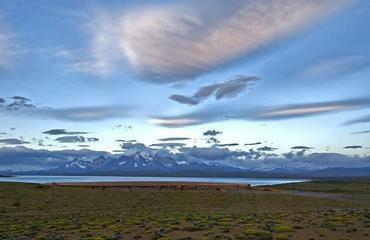 to El Calafate, in the Patagonia region. Upon arrival, meet your private guide and driver, and drive to a small estancia. Spend the night, and learn first-hand about rural living in Argentina and the iconic gauchos who make their livelihood here. The small, picturesque mountain town of El Chalten sits below the famed peaks of the Fitz Roy Mountains, on the edge of Los Glaciares National Park. These iconic peaks have captured the attention of photographers, climbers, mountaineers, and adventurers for ages. Capture the glory of this distinct landscape from the vantage point of lesser-known overlooks and off the beaten path locales. Return each evening to a perfectly secluded hostería at the very edge of the park boundary. One day will be spent on the trails near El Chalten. Another, on a full day trip to Lago del Desierto, one of the wilder and lesser-visited areas of the Chalten region, with stunning views over the pristine lake to the massive Monte Fitz Roy. 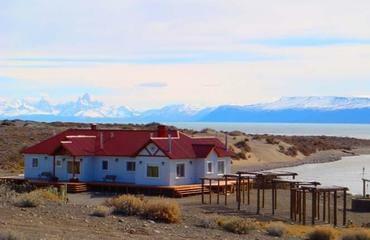 Return to El Calafate to spend two nights, traveling along the shores of Lagos Viedma and Argentino. En route, explore tiny hamlets and stop for photo ops scattered around the breathtaking landscape. If the skies are clear, you will call this one of the prettiest drives on earth. A full day is spent at Perito Moreno Glacier, one of Patagonia’s most impressive sights and one of the only glaciers in the world that continues to grow. Viewing platforms face the glacial wall, where the icefield meets the lake, and a boat trip onto the lake takes you up close. Aim to capture a calving glacier crashing into the lake below! The Grand Finale! Cross the Argentina-Chile border, and take in the breathtaking first glimpses of one of the world’s most famous landscapes – Torres del Paine and neighboring Cuernos del Paine – giant spires of rugged granite shooting into the sky, surrounded by harsh and beautiful southern Chilean grasslands and lakes. Base out of one of the extraordinary lodges located within reach of the beauty, boasting superb accommodations and food as well as trails, an array of activities, and vistas extraordinaire. Soft-adventure and scenery-specific excursions are on the menu! Click, click, click! This morning, return to Buenos Aires, spending one more night in the vibrant city. Transfer to the international airport for flights home. This is a wonderfully unique place to stay in Buenos Aires – a historic club that has recently been reopened as a boutique hotel. With 28 beautifully decorated guest rooms, it offers very personal service. 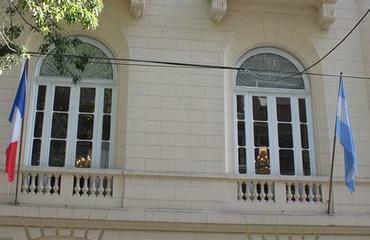 The hotel is on a quiet street in the heart of the fabulous Recoleta barrio. There is also an excellent restaurant and a lovely spa. Situated at the headwaters of the La Leona River, just steps from Lake Viedma and very nearby a spectacular petrified forest, Estancia La Estela is perfectly positioned to take in the incredible views that have made Patagonia famous. From here, you can appreciate the massive Viedma Glacier across the impressive Lake Viedma, and noted Patagonian peaks like Monte Fitz Roy just beyond the water. In addition to spectacular scenery, the estancia offers a number of great activities including hiking and horseback riding - though many choose to simply soak up the views over steaming cup of Yerba Mate! 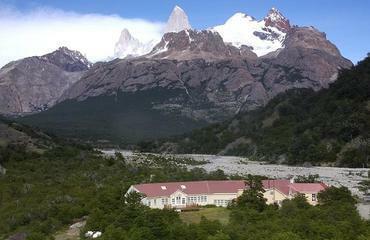 This charming small hotel features a remarkable view of Mt Fitz Roy and its surrounding peaks. Out of town along the Rio Blanco, there is no more perfect setting to enjoy the Chalten area's pristine natural environment. It's also the perfect base camp for fabulous day hiking, as the trailhead to the base of Monte FitzRoy starts right here out the front door! There is a small restaurant and bar at the hotel; they can pack picnic lunches for you; dinners are excellent. 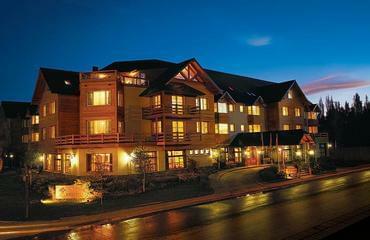 This lovely property is perfectly located just two blocks from the main downtown stretch of El Calafate. You will feel right at home in spacious rooms that are beautifully appointed with authentic styling that tells the story of Patagonia’s 12,000 years of inhabited history. The hotel has 80 rooms, but feels far more intimate. A bar/lounge, gym, spa, game room, and business center are all available for use by guests. There is also a great restaurant on site that serves up regional and international cuisine.